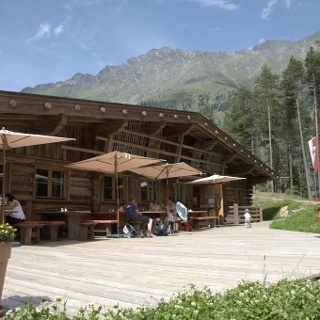 An infinite number of mountain huts and inns nestle like swallow nests on both sides of the marvelous, 67 km long Ötztal valley. 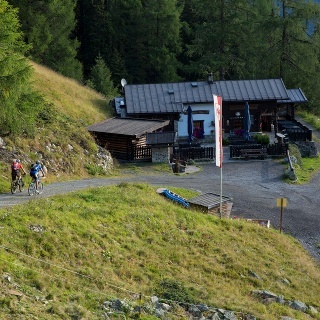 One of these quaint spots is the serviced Breitlehnalm hut at the height of Längenfeld. 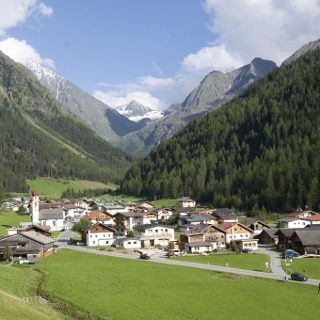 The tour starts in Huben, where the valley narrows towards Sölden. A switch-backing forest path winds its way up to the mountain hut on the western flank of the valley. 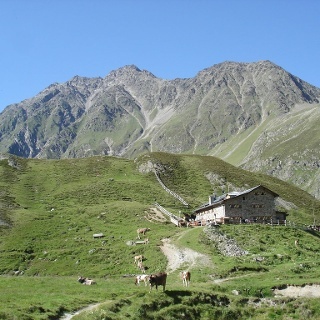 The moderate ascent to Polltalalm features about 700 meters of altitude gain. Great panoramic views accompany you throughout the tour. The remaining 1.2 kilometers to Breitlehnalm have no considerable change in elevation. 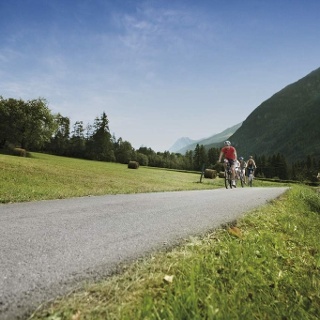 Down in the valley you can see the picturesque holiday villages of Huben and Längenfeld. Majestic Felderkogel summit, one of the peaks beyond 3000 meters altitude, makes a lovely backdrop. 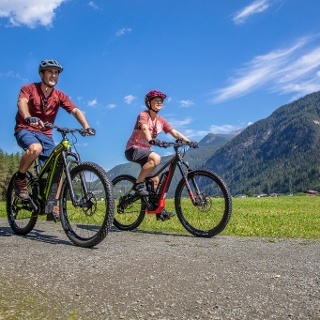 The downhill ride on the winding trail is a real pleasure for passionate mountain bikers.